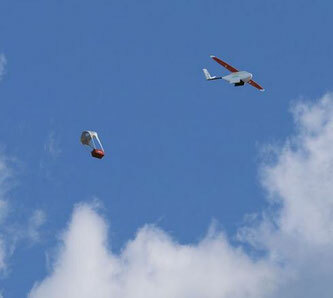 Drones delivering medicines, drugs or emergency supplies to remote areas will become a common sight in Tanzania. TZ’s government jointly with U.S. drone provider and operator Zipline aims to establish a large delivery network across the country to improve health services fast. Driving by car or van through Tanzania is often a daredevil task. Outside of larger cities like Dar es Salaam, Dodoma or Mwanza most of the usually unpaved roads become increasingly bumpy and eventually impassable, particularly during the rainy season. In order to change this for the better, it would need strong political will, much money and a long-term master plan. Kind of wishful thinking! Given today’s poor circumstances, conditions for surface transportation in TZ are extremely unfavorable making it nearly impossible to establish well-functioning supply chains that connect the agglomerations with the scattered villages and health clinics in the hinterland. … and land smoothly on a mattress upon return. Thanks to the drone program, however, this unsatisfactory situation, which exists already for decades, could be partially remedied. Once in operation, the unmanned aerial vehicles will supply local health facilities and clinics with urgently required medicines or blood units needed for transfusions. According to Zipline, their first drones will take to the air in Q1 of 2018, thus fairly soon. Four launch sites will be implemented, starting with Dodoma, TZ’s capital city, followed by two centers in the northwestern part of the East African country near Mwanza at Lake Victoria and one in the Southern Highlands near Mbey. Each of the four distribution centers will be equipped with up to 30 drones, capable of making nearly 500 on-demand delivery flights each day. The drones can carry shipments weighing up to 1.5 kilograms, cruising at 110 kilometers an hour, and have a round trip range of 160 kilometers. Zipine’s drones take off and land at the distribution centers only, requiring no additional infrastructure at the clinics they serve. A system of bungee pulleys catapult the 12 kilograms weighing drones from a steel launcher into the air. All routes are pre-programmed, with a ground operator monitoring the flight on his tablet. 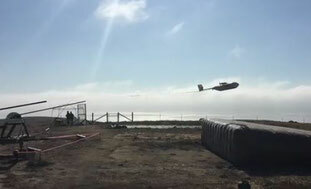 A 3-D satellite map enables precise navigation and the release of the shipments at their landing by parachute within an extremely narrow target area. Once there, the clinic personnel are informed via text message. Tanzania becomes Zipline’s second African testing field for drone services following its neighbour Rwanda. Launched in October of 2016, drones of the U.S. operator have flown more than 100,000 kilometers in Rwanda, delivering 2,600 units of blood to clinics and hospitals throughout the country.